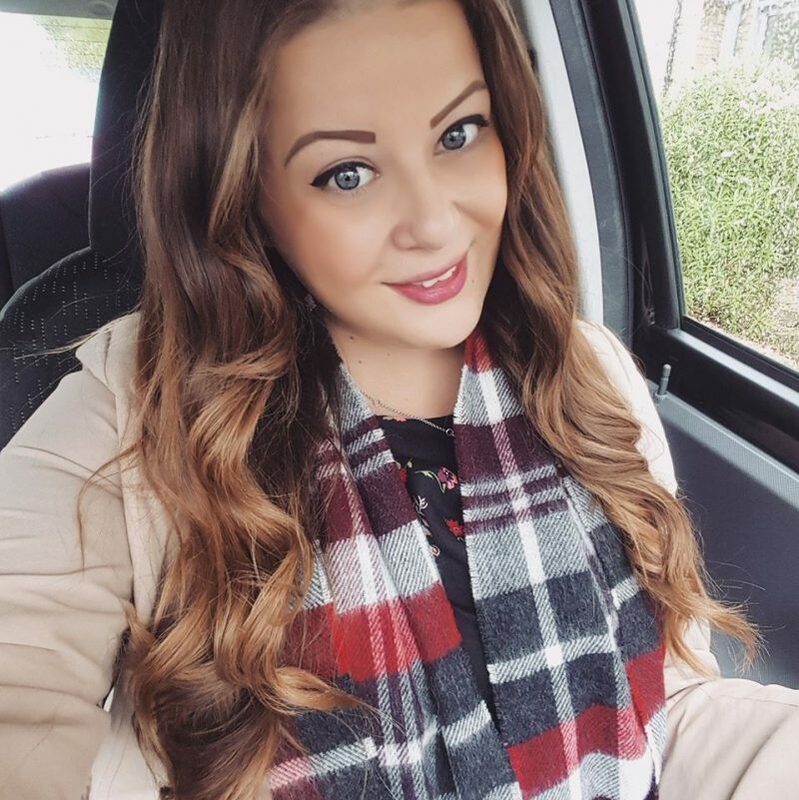 It’s been well over a year now since I made the decision to go from blonde to my natural brunette colour. I did love having blonde hair, but it was horrible to maintain, and the condition was awful. Literally when I used to brush my hair in the mornings, 1 inch dead ends of my hair would snap off and my carpet would get clumps of dead hair embedded in it. It was gross! As you can see from this photo, two years ago my blonde hair was really fine and thin, and not as volumised and thick as it is now. It also wouldn’t grow any further, and everytime a bit would snap off, it wouldn’t grow back, and my hair was getting shorter and shorter. So I’m more than happy to stay as a brunette for now. It’s much healthier and easier to manage and style, and I think it looks better too! I’m so happy to have my nice thick hair back. Also, in case you’re wondering what dye I used on my hair to get it from blonde to brown, I simply use permanent dye from Poundland (this one). At first I had to dye it every 4 weeks or so as the bleach blonde kept coming through, but after a few applications it stays dark. I dye my hair every 10 weeks or so now just to keep an all over colour. 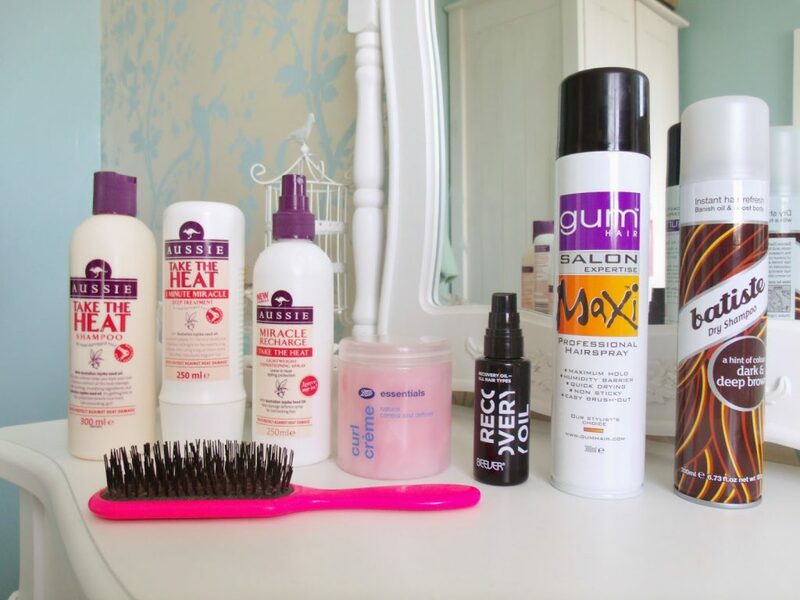 So I thought I’d do a little round up of my favourite haircare products that I’ve discovered since rescuing my dead hair. They’re not all necessarily my usual bargain buys, but they’re still good value and much cheaper than top end brands, and I’ve found these work best for me and my hair. 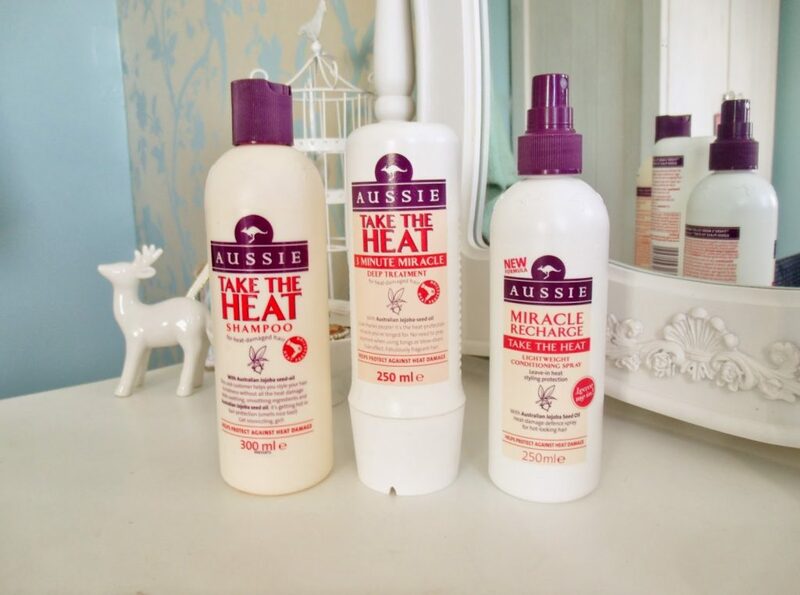 My favourite haircare brand is probably Aussie, which I only discovered when I was working in Florida in summer 2011 and my blonde hair had officially had enough of the sun. I was looking for a product that would try to repair or at least protect my hair, and I came across the Take The Heat 3 minute miracle deep treatments. It worked wonders for me, and I’ve used it ever since! It leaves my hair soft and smooth, and it seems to do a good job of protecting it from hot styling products too. I also use the matching shampoo and the newest product I’ve tried to finish the Aussie set, the Miracle recharge conditioning spray, which I use on my towel dried hair before blow drying. These products are often on 3 for £10 offer at Boots etc so it’s a good deal as they’re usually about £4.99 each. The styling products I use vary depending on whether I’m having my hair curly or straight. But I always use the Beever Recovery Oil and run it through my damp hair as it works wonders on my split ends (I reviewed this in 2012). I’ve been using it for ages now and it really is a great product! I also am still using my trusty Denman Tangle Tamer (the first product I ever reviewed.. cringey post!). I use it everyday as it’s great to use on wavy hair as my hair tends to tangle quite easily, and it doesn’t pull or snag on my hair, and I also use it to distribute the products I use on damp hair all over. When I have my hair curly, I always use this bargain miracle product from the Boots essential range. It’s called the Curl Creme and it’s basically just a big tub of pink cream that is wonderful at smoothing frizz and holding curls without making hair crispy. It’s a bargain at only £1.69, and I recommend every curly hair girl give it a try! 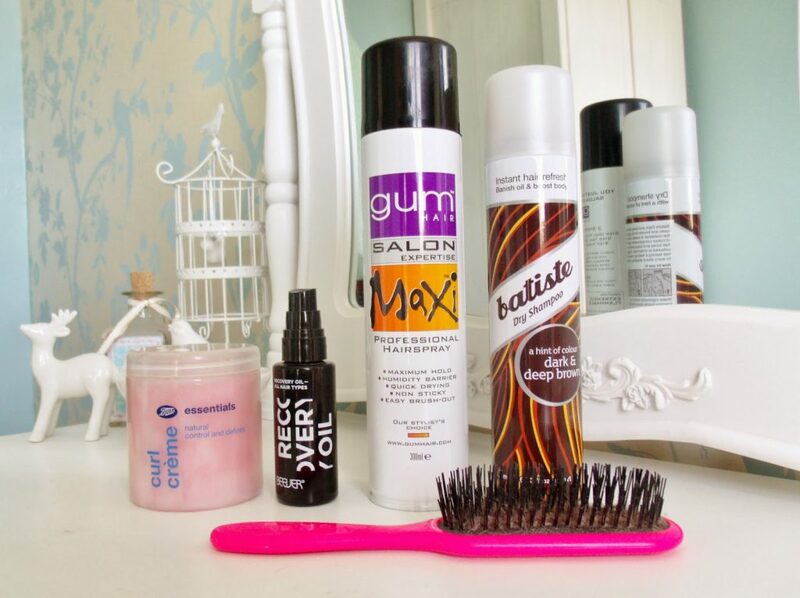 I generally always pin my little rubbish fringe back with kirby grips, and to give it a little it of extra hold, I use the Gum Hair Maxi hair spray. This can be a little bit tough to get hold of, but I find it in Home Bargains to about £1.29 and I always stock up when it’s in! It’s the best hair spray I’ve found, as it managed to hold unruly hair without making it hard and without leaving those white flakes all over your scalp. And finally, my other most used hair product is of course a bit of dry shampoo, and I use the Batiste brunette one, as it doesn’t leave big white marks throughout my hair, and helps me out when I’m too lazy to give my hair a proper wash (weekends!). I hope you enjoyed this post! What are your favourite products? you look lovely and your hair looks beautiful! but i prefer my hair blonde as i have a very pale skin tone. The brown is beautiful on you! Very tempted buy the curl creme, just need to go look up the ingredients. You look amazing with blonde or brown hair, so no worries there! I know what you mean about maintenance. I tried going blonde and I hated the toning and the relightening, it was very tome-consuming. I'm so glad to be back brown!